10 Acres of land with 531 ft of frontage along Chevy Chase Drive. 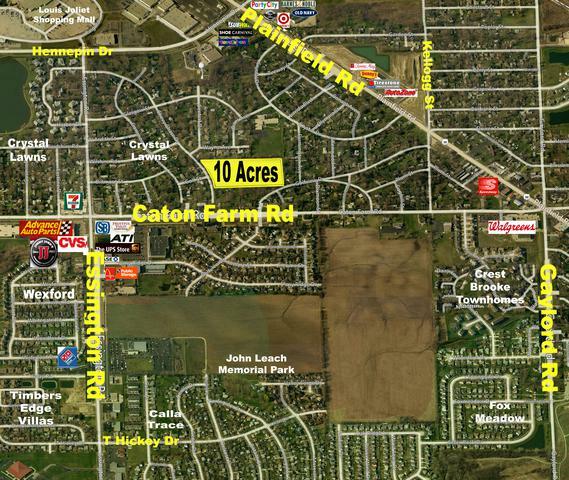 Excellent location approximately 1 mile to the Joliet-Louis Mall and 2.5 miles to the I-55 interchange. Surrounded by a vibrant residential community. Nearby schools, shopping, dining and entertainment.